Everyone has been looking for a new way to follow all of their favorite blogs since Google Reader has gone the way of the wind. I know that I blogged about switching over to Bloglovin' last week but wanted to remind everyone to click my button to keep in the loop. 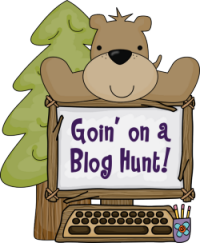 Laura Candler has come up with a great linky party to find your favorite blogs and find new blogs! Click the image to go to the post and join in! Plus, I always like to make new friends! It's definitely one of my very, very favorite parts of the summer: blog surfin. Bloglovin' is a favorite of mine now (out of necessity I guess) but I love how you can create groups and have everyone sorted out. Plus you can get daily updates and they let you know your followers and everything. Love it! Check out the linky below and make sure to check out Corkboard Connections to see how you can join up!